Update: Next week, I will have a column picking and sharing thoughts (not previewing) on the non-committee selected bowl games before they kick-off on December 20th. This is strictly going through the rankings and picking my Heisman winner. Look, no matter how upset I am or what I disagree with in the rankings, I have to remind myself one thing: We have a playoff. This is so much better than the BCS system. Overall, having playoffs is incredible. I love it. It’s so exciting! With the BCS, we’d be arguing who deserved to play for the title. Now, we have to debate over who deserves a 25% chance at the title! It’s great! I’m not previewing these games, yet. This strictly me going through these teams, and whether they deserved a spot. The Alabama Crimson Tide may not have had the prettiest season or the best record, but they sure did win games. Their only loss this year came against, at the time, No.11 Ole Miss in Week 5. That 23-17 loss really didn’t leave a huge dent in their season. They blew out SEC foes Texas A&M and Missouri after the upset loss. Alabama won the always exciting Iron Bowl in a shootout game against the Auburn Tigers. Really, there wasn’t any way they weren’t going to be No.1. Oh yea, did I mention they won the SEC? The best conference in football? That helped, a lot. This committee loves conference champions, as we see above. Alabama has a tough task in the semifinal, as everyone does. the PAC-12 Championship Game. Oregon has an incredible offense with a stingy, great run defense. There was no way you could have put them lower than two, and I thought, at one point this season, they deserved a shot at No.1. Now the Ducks have a shot at upending Florida State’s record streak. It’s quite possible, but I’ll get into that when the times comes. This is where it gets debatable. Look, Florida State, as close as they came to losing not one, not two, but possibly five games this year, they’re still undefeated. They went 13-0, barely pulling out wins over Louisville, Boston College, etc. You get the point. They came close, but overall pulled it out. And as bad as Jameis Winston was in some of those games, he’s still a great QB. He has a incredible arm, with the mobility to escape the pocket. He’s Kaepernick like, and I really don’t care how you feel about me using that, because he’s (Kap) good, even though his team hasn’t been. Florida State is undefeated. I couldn’t believe some of the stuff I saw on Twitter regarding Florida State and their “limited?” playoff chances. Wait, what? Anyways, this is where people started to question the order, which was stupid in my opinion. I knew, that after Florida State won the ACC Saturday, that, in some order, it would be Alabama, Oregon and the Seminoles. The 4th spot, is where it got testy. Again, we knew it was going to be three teams for one spot. That’s where the committee had to decide. They did. And really, they got it wrong. I really did think Baylor deserved a chance. They were the best team for that spot. What went wrong? Nothing. 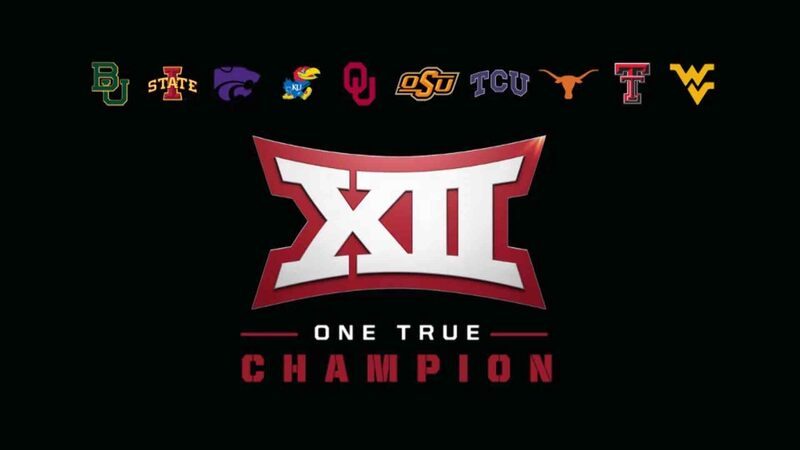 Here’s the problem: The BIG 12 had two champions. Baylor won, and tied with the Horned Frogs for the BIG 12. And so, the ultimate debate between the two raged. I thought it was already at it’s height. I was on Baylor. I had been since the beginning of the season. They beat TCU 61-58 earlier this year, and had dominated close to everyone else. I never thought TCU was better than Baylor. I also never expected this from Ohio State. After J.T. Barrett broke his ankle against Minnesota the week before the BIG 10 Championship game, I thought the Buckeyes were done. There was no faith from me in Cardale Jones, a 3rd-stringer who was getting thrown into a huge game. So what’d Ohio State go and do? Embarrass Wisconsin 59-0 in the BIG 10 title game that their head coach left. It was a disgusting loss for the Badgers. I was quite embarrassed with my pick, too. Even though Ohio State wasn’t as good as Baylor, and had a 3rd string QB in, the committee still put them in the playoffs with the No.4 seed. So, the committee put in Ohio State, because they were “true” conference champions. It was punishment. And, it should bring big changes to the BIG 12. I’ll get to that later. Let’s crank through the rest of the rankings. Alright, this is where it gets clearer. It’s also where I start to agree. Mississippi State was No.1 for awhile this season. They started 9-0, and where at the time clearly the best team. The Bulldogs won back-to-back-to-back games against LSU, Texas A&M, and Auburn, at the time, all top ten teams. Though, the late season stretch got to them. Their first loss came against No.5 Alabama. Then two weeks after was the Egg Bowl, and the Bulldogs laid an egg against Ole Miss, ending any hopes of the playoffs. It’s pretty clear, being No.1 most of the year, that they couldn’t have fallen any further. We judge the top six by the playoffs and the first two out. The Bulldogs were right on the cusp of being very successful. Following them, Michigan State and Ole Miss can’t be more similar of teams. Though the Spartans score a lot more, both teams defenses were outstanding this year. The Rebels possessed the nation’s best defense, statistically this year. The Spartans had the better record (10-2), which landed them ahead of Ole Miss (9-3). It makes sense. Record does come into play when you get farther down. I’m fine with where Arizona landed. They got into a New Years Six game, comparable to a BCS Bowl from last year. The PAC-12 Championship loss didn’t bother me, it’s how we lost that bothered me. I almost cried myself to sleep that night. I was so embarrassed. The committee didn’t take it to hard though, placing the Wildcats at No.10. Are there some teams behind Arizona that are better than them? Yea, probably. It depended on who was healthy. Any combination of these three teams work. These teams are all very equally matched. I have no disagreement with this, though I may have a little bit of homerism in play for the Kansas State Wildcats. My one claim: Had Georgia had Todd Gurley, not only would they be higher in the rankings, but they would have been in a New Years Six game. I’m a little confused here. I agree that UCLA is the best team out of these three. After Stanford upset them to ruin there PAC-12 Championship Game hopes, they knew they were going to be dropped. Fourteen is probably right for them. This is total non-homer. Missouri lost the SEC Championship Game. That’s the best division in the nation. Losing to Alabama is ok. So why did Arizona State get put ahead? They had the same amount of losses (3), with Missouri having one more win due to conference ties. I don’t understand how Arizona State got put ahead of the Tigers. Missouri has a much better defense than the Sun Devils, while Missouri’s passing falls behind Arizona State’s. Defense is what the SEC is known for. If they were one of the best in their conference in that category, how did this happen? Arizona State had two embarrassing loss this season, one to UCLA and one to Oregon State, but the Beaver game was crazy. That one just made me mad. UCLA proved to us that they were better, and in a very ugly way. Overall, I’ll take the higher ranking, but am confused by it. Sorry Tigers, you got disrespected. Clemson is one heck of a team. They had ups&downs this year. It started out rough, losing to South Carolina and Florida State in three games to start out the season. The Tigers are usually know for their offense, but with two QB’s fluctuating in&out of the lineup all year, the fast paced offense we were used to didn’t show up. The defense though, did. They were ranked 7th in defense this past year, and dominated close to all the games they won. Giving what the Tigers went through with DeShaun Watson’s multiple injuries, it’s pretty impressive they ended up here. I was literally about hit “Publish” when the news broke that head coach of Wisconsin Gary Andersen had left the program for Oregon State’s head coach opening. It was a shock. It’s also a risk. I mean, it’s Wisconsin. It’s a pretty big program. Oregon State hasn’t hit it’s stride yet. Possibly Andersen can boost it. The other thing we have to consider is Andersen has coached out West before, notably with both Utah schools. He likes it out there. He claims it’s a family move, and it’s a new opportunity. Maybe the BIG 10 just wasn’t for him. It’s possible he just wasn’t fond of it. It’s not like he didn’t succeed with the Badgers. Auburn is the best four loss team in the country. Easily. This was a playoff team early this year. They started 5-0 before losing to No.1 Mississippi State in a blowout. Playing the rugged SEC proved costly though, after losing back-to-backs against Georgia and Texas A&M. Bosie State and and Louisville are teams I don’t know to much about. The only thing I really know about the Broncos is that they won the Mountain West and they have to play Arizona. You know what happens when I don’t know much about a team and they have to play my favorites, so I’m scared. Louisville had a nice year after losing Teddy Bridgewater and their head coach to Texas. They deserved this ranking, and with only three losses, there is a case for them to be higher. They play in the pretty dull ACC though, so that harmed them. Wow. Three bummers in four spots. I don’t want to touch on Utah. They’re pretty frisky, yet can scare you if they’re playing your team. Stay away. Aw, the two main bummers. LSU and USC were both expected to be great this year. USC started out nicely, but a bad loss to Boston College turned their season in a beat, and it never got better. They got in a bowl game, which is a successful season. The Trojans seem to be always competitive, plus they have a good coach now. They’ll be back soon, I promise, even though I’m not going to be happy about it. LSU, ranked ahead of USC, had huge expectations (from me) this season. I thought Leonard Fournette would be a beast and contend for the Heisman Trophy (Oh yea, I get to pick my winner at the bottom!). He didn’t, and LSU didn’t have the greatest season. They only loss four games, but this was supposed to a SEC title contender, not a bottom feeder in the conference. I’m not going to touch on Minnesota due to the people reading this. I don’t want anyone mad at me. Except: Your getting crushed by Missouri, Gophers (Probably just made people mad at me). Those were the finalists picked to attend the ceremony in New York City, New York this Saturday. Unlike last week, we had a interesting variety of games this past weekend. The early slate involved lots of blowouts and bad match ups. The late slate provided some down-to-the-wire games, and a major upset. That upset occurred over a team that’s in shambles. If there was one play in this game that foreshadowed how this game went, you didn’t have to look far. On the first play of the game, Geno Smith threw a interception. Not shocking, aye? Well, Gerald Hodges took it 27 yards into the end zone. 7-0 Vikings just like that. We know though, that the Jets play good defense. That’s been their highlight this season, giving what else they’ve been through. With the Vikings backed up, the Jets sacked Teddy Bridgewater in the end zone, giving New York a safety and making it 7-2 with 10:12 left in the 1st quarter. It was an entertaining start in what was expected to be a bum game. The rest of the quarter proved to be more of the same. Percy Harvin caught a 35 yard pass from Geno Smith in which he took into the end zone. Harvin finished with 124 yards and that TD, but he left the stadium on crutches. Soon after, Teddy Bridgewater threw a bomb to Charles Johnson; a 56 yard TD pass which put Minnesota up 14-9. Bridgewater, I believe, may be the best QB to come out of the 2014 draft. He hasn’t been phenomenal this year, but has shown some promising flashes. I’m still sticking to my claim, but the Vikings need to be patient with him. Minnesota this year though, has been pretty leant on it’s running game, even without Adrian Peterson. It didn’t show up Sunday. No TD’s were rushed in for the Vikings, even with 114 yards as a team. Running back Matt Asiata didn’t have a great day. This is the force of the Vikings. They sometimes have to rely on their running game. The Jets proved pretty sturdy on the defensive line. They’ve been a great run defense team in the past, and continue to do so. The second quarter’s excitement was definitely a lot more toned down, though a Jets fumble gave Minnesota another defensive TD, putting them up 21-12. Nick Folk kicked a field goal with 17 seconds left before halftime, cutting the lead to 21-15. Third quarters this year haven’t proven to be exciting, in any game. This was one of those. Nick Folk hit a 22 yarder to make it 21-18 Vikings heading into the 4th. Hey look! Geno Smith actually had a decent game! Wait! His QBR was over 60? No way! Actually, it was 87.4! 87.4 QBR! FROM GENO SMITH! WITH A PICK-SIX! YEA! And to back that, he passed for 254 yards, completing 18-29 passes. It was a great day for Geno Smith! Overall though, the ending was one Jets fans would want to forget. ANOTHER Jets field goal kicked off the 4th quarter, tying the game at 21. FYI: There was a lot of field goals in this game. I had someone at school bring that up to me, and asked me how I would use it in my column. Minnesota joined the the three point party with 5:28 left in the games, making it a 24-21 game. See, I’m making up new words. That’s how ridiculous this game was. But don’t worry, the Jets just had to make this interesting, and they did. They really did! With 3:07 left, New York got the ball, and in to Geno’s hands it went. (That’s a very scary thing to say) The highlight of the 45 yard drive was a 18 yard scramble by Smith, which set him up to throw two incomplete passes and have Nick Folk kick, yea, another field goal. Minnesota got the ball back with 23 seconds left, and made some huge progress thanks to a 27 yard catch by Jarius Wright. Blair Walsh set up for a 56 yard field goal, which is a long one, but he totally shanked it as time expired, sending the thing into overtime. I’m not sure how many people really wanted to see this go into overtime. In the 5th quarter (I don’t care what you call it, this is how I roll), the Jets had the first opportunity, and punted after six plays. Somehow, that took three minutes. Anyways, Minnesota had the ball for two plays before Teddy Bridgewater threw a dinky screen pass to Jarius Wright, and guess what he did with it? He took it 87 yards down the field, and went into the end zone, giving the Vikings the 30-24 win. Typical Jets way to lose. Now look, these Jets, well there the Jets. And there’s not much else to say. They need better QB play, whoever that may be. This isn’t Rex Ryan’s fault. He’s not an offensive guru. We know Geno Smith isn’t the answer now, even after his above-average performance. This team finds way to lose, and that needs to change, or else someone is getting the boot. I came up with a theory that involves Geno Smith. See the menu. Both teams coming into this game knew the stakes. Both teams are ones who are fighting for playoff spots, more likely Wild Cards though. It could easily, at the end of the season, determine who’s in and out. Baltimore had a slow start. That’s been a custom of their’s this year, and it needs to change. The Dolphins attacked them well. They limited the running game, leaving Joe Flacco to throw. Though Justin Forsett had a good game, it didn’t seem like the Ravens were just pounding the football against them. It came in spurts. Miami did it’s best, and really, they did pretty well. and a TD pass to Brian Hartline. Ryan Tannehill continues to impress me and the Dolphins. They’re keeping him. Just add some more talent and they’re set. Tannehill’s day consisted of 227 yards passing, completing 23/33 of his throws and that TD pass. With a QBR of 98.9, he’s doing just fine. The second quarter was a bunch of three&outs and stupid drives. Nothing happened. The Ravens very late got something going. With 3:08 left before halftime, Joe Flacco lead Baltimore down the field, and found Steve Smith in the end zone with two seconds left. Smith had, including the TD catch, seven receptions for 70 yards. The TD got the Ravens within three at halftime, with Miami still leading 10-7. The third quarter was similar to the second, with limited action and good defense on both ends. Baltimore may not be a fun team to watch, nor are their wins that pretty, but they’re a good team. The balanced offense limits mistakes. They’re well coached too, and that always helps. Halfway through the third though, the Ravens got into red zone (finally) and Kamar Aiken (Who?) caught a 13 yard TD pass from Flacco. It was the start of Baltimore’s furious offensive explosion. Miami scored only once the rest of the game, with a field goal that was kicked with just over two minutes into the 4th quarter. Baltimore took over only up by one, and went down the field on two long drives, scoring rushing TD’s on both, one by Forsett and one by Flacco. With those, Baltimore went up by two possessions, as the lead was to insurmountable for Miami. The Dolphins are still a very good team. They lost a game because of defensive mistakes. They can’t give up long drives. You get tired when that happens, and it leads to errors. It’s what happened to Miami Sunday. If the Dolphins are a playoff team, they need a little bit of a run and some help, because this game was key. I don’t know anymore. Cleveland is by far the most friskiest team there is. It’s praise one week, tragedy another, and ugly the next. They’re impossible to figure out, like their division. This game started slow. Both teams started out rocky. Brian Hoyer threw a pick in the red zone halfway through the quarter, blowing a huge opportunity. That was just the start of his bad day. The Browns got on the board first though, late in the quarter by sacking Andrew Luck, causing him to fumble. Craig Robertson scooped it up and took it into the end zone, though the play happened deep in Indy’s territory. Again, the first half was a slow one. Andrew Luck threw a TD pass in the 2nd quarter, tying the game at seven with 5:57 till halftime. It was one of Luck’s two on the day. With 1:14 left till halftime, the Browns scored on a Isaiah Crowell TD run, putting them up 14-7 at halftime. Ah, finally! The second half! The exciting second half! The third quarter didn’t start Indy’s way. A fumble by T.Y. Hilton three plays in gave Cleveland the ball, who eventually did absolutely nothing with it. Hilton had a great day though, with 150 yards and 2 TD’s, plus helping me out fantasy wise. It was a short time after though, Andrew Luck threw a pick-six with 10:23 left in the quarter, giving Cleveland a two possession, 21-7 lead. Don’t ask me how we got there. Cleveland should have never lead in this game. Never. Brian Hoyer had a really bad day. Completing 14/31 passes, throwing for 140 yards and two picks isn’t great. At all. He’s losing the starting job on a weekly basis. He’s gotten worse and worse since everyone praised him. The Browns have a limited shot at the playoffs. I don’t care what their record is. There is four teams better than them in the AFC who are fighting for Wild Card spots. PLAY JOHNNY! PLEASE! And earlier today, they did. Johnny Manziel will start Sunday for Cleveland. Thank god. It’s about time some one in the Browns front office got smart, and Kevin Costner, I mean you too. After taking the two possession lead, all Cleveland did was blow it. They scored one more time the rest of the game; a 39 yard field goal by Billy Cundiff. A 42 yard bomb from Andrew Luck to T.Y. Hilton for a TD started the Colts comeback with 4:09 left in the 3rd quarter. Indianapolis kicked a field goal to start the 4th quarter, making it a 21-19 Browns lead. Cleveland’s last score came with 8:39 left (Cundiff’s field goal). It put them up by five. Andrew Luck though, he’s an animal. It doesn’t matter how bad his day was, and Sunday, he went 24/53, with 294 yards, 2 TD’s, and 2 INT’S. It didn’t stop him. He lead the Colts down the field with 3:46, with help coming from a 27 yard pass to Donte Moncrief. A huge 4th&1 converted at the Cleveland three yard line set up T.Y. Hilton’s game-winning TD catch with 36 seconds left. It was heartbreaking, once again for Cleveland. I’m sorry Browns. It’s Johnny Manziel time. Your playoff chances are so slim. We’re not sure what Manziel will be, but he’ll provide excitement. That’s what it’s about this time of year, right? This had to be one of the worst games of the weekend. Had to. My two favorite teams squared off Sunday in the desert. One team in need of a win, one, well, also in need of win, but not as urgent as the other. This, in my opinion, was a must-win for the Cardinals. They got it done, yeah. But still, this is sketchy team, and that says a lot coming from me. Both teams are sketchy. Neither team can score TD’s; something that the Cardinals have had trouble with all year. Basically, these are two teams that will probably make the playoffs, baring a crash-and-burn scenario. That is totally possible, giving what division these teams play in. The game was awful, I’ll be honest. The Cardinals kicked a field goal 4:05 in, going up 3-0. Just over a minute later, the Cardinals gave up a 63 yard TD run to Jamaal Charles, who had 91 yards and that TD on the day. He is. And that’s okay. He’s not going to be great, but he’s done better than anyone else expected. That’s what counts. The Cardinals kicked another field goal with 7:43 left in the second quarter, making it a 7-6 game. Watching this game was miserable, and embarrassing when your a fan of both teams. Arizona didn’t turn the ball over. Once. It was a blessing. You’d think, against a stingy Kansas City defense, that they would create something. Na-da. This was all about who could put together the worst drive possible. Sounds Cleveland-ly. The Chiefs never scored again. It shows where this team lacks on offense. There is hardly any weapons on this offense. Alex Smith can’t do it by himself, we’ve realized that in the past. We can’t though, blame him, yet. This crazy talk about Kansas City giving up on Smith and maybe booting him insane. Before you judge any QB, let alone player, you have to know the surroundings. You have to see what he can do with talent around him. It’s what I’m calling the Geno Smith Theory. Once you get talent around a QB, you evaluate him. If he doesn’t preform, he’s not the one. The Cardinals went on to score ten more points, coming back and winning. Don’t ask me how they won, I really have no idea. Neither does any one in this country. I have no idea how this game was so close. (The NFL is so unpredictable. I really have no idea on a lot of things) The Eagles had 139 total yards. 82 of them passing. Mark Sanchez’s day was a bum one as he completed only 50% of his passes. He did though, throw 2 TD’s, one to take an early 7-0 lead in the first quarter. This was a messy game. 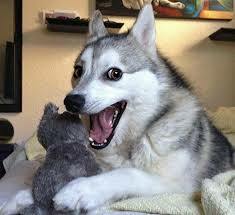 Seattle lost two fumbles in the game, but it really didn’t play a part. The Eagles running game was shut down by Seattle’s defense, as LeSean McCoy only got 50 yards. On the opposite end, Marshawn Lynch continued his beastly season, adding another 86 yards Sunday. It was all Seattle in the second quarter. Russell Wilson ran in a TD from 26 yards putto tie the game at seven. Near halftime, the Seahawks kicked a field goal to go up 10-7. Again, when you look at the box score, you have no clue how this game was this close. The Eagles just barely hung on. Right out of the gate, Seattle scored and went up 17-7 after a TD catch from Marshawn Lynch. Philadelphia short after tried to make it interesting, after Sanchez threw a bomb to Zach Ertz, which went for 35 yards into the end zone. That score made it 17-14. Seattle though, sealed it right after. Going up ten with nine minutes left proved to be to much for Philly. These are both playoff teams, in some way. I’m not sure about seeds, but they will be in playoffs, and may even wind up playing each other. This in no way was a great game for either team, and it was actually a little hard to watch, but it’s inconceivable that neither of these teams will be in the playoffs. I really didn’t want to write about this game, so I’m going to provide my theory on the 49ers and what they should do. The 49ers are in shambles. Tatters. There is obviously riffs within the organization. The players aren’t happy. It’s a mess. No one saw it coming. Who saw this talented roster being 7-6, and their head coach under fire? The first problem with the 49ers starts with the injuries. They had lots of talent on the bench at beginning of the season. Aldon Smith was suspended for the first nine games. The defense had trouble defending the run. The already weak secondary couldn’t cover. It was a mess, and when we thought it would get better, it didn’t. The offense is another story. Colin Kaepernick has been a disaster this year, and for someone who drafted him in fantasy, I know how bad he’s been, trust me. Kaepernick is one of the most unique players in the league, let alone QB’s. He has an incredible arm with the ability to escape a closing pocket. Kaepernick though, likes to run out of the pocket, when he really doesn’t need to. He still succeeds when he does, and that’s what counts. But a year after being within one game of the Super Bowl, the 49ers decided to alter Kap’s game. They wanted to keep him in the pocket, and not let him run loose. His arm is still great, but the accuracy and former skills he possessed is now gone. That’s the problem. Those guys haven’t showed up entirely. Vernon Davis has been a no-show this year. Frank Gore’s age is getting up there. QB’s can’t do it by themselves. They need help. You have surround them with weapons. It’s not the player fault. Who’s is it? Who needs to go? Look, I don’t think Jim Harbaugh deserves to be fired as head coach of the San Francisco 49ers. I don’t believe any of this is his fault. He had to deal with injuries early in the year, which lead to the slow start. When the injured players returned, it didn’t come together. Guys didn’t show up. They didn’t play well enough. If we want to blame this on Kaepernick, which is ridiculous, you have to look at the way his game has changed, for the worst. It’s offensive coordinator Greg Roman that needs to go. The play-calling is not the type that Kaepernick enjoys. It doesn’t fit his style. It’s not him, it’s Roman. Now, if Harbaugh is fed up with 49ers, and the 49ers are fed up with him, maybe it’s the right thing to do. Divorce, and bring back Mike Singletary. Now, I bet Harbaugh is a pain to work with. He wants things done his way. Sounds like a college coach (Oops). I’m not going to get into Harbaugh’s future as a coach with other teams or whatever. I’m talking about the 49ers. To recap, this isn’t on the players, this isn’t on Harbaugh. It’s on injuries and bad play-calling. Altering this offense was possibly the worst thing you could have done this offseason. Some one has to pay. This was supposed to be go-time for San Diego. And for a quarter or so, it was. San Diego came out to blazing start after a boring first quarter and a Patriots field goal. New England had a 17 play, 7:56 drive to get that field goal to make it 3-0 at the end of the 1st. San Diego realized the Pats were going to drain them, so they started to put up points. A 15 yard TD catch by Malcolm Floyd opened the second quarter, putting the Chargers ahead 7-3. Minutes later, Brandon LaFell fumbled on a catch, and San Diego took it back 53 yards for a TD. They led 14-3 with 11:06 left in the 2nd. But the Chargers never scored again. Not once. They went the whole rest of the game without one point against the Patriots. As expected, New England took advantage. It was 14-13 at halftime, and we were well on our way to a bad San Diego second half. Nothing actually happened in the third; that being a common trend this year. I’m not sure what it is. Water up at halftime! The Patriots kicked a field goal at the top of the 4th quarter, making it 16-14 New England. Right after, Tom Brady threw a 69 yard TD pass to Julian Edleman to make the lead 24-14, one that San Diego couldn’t overcome. Brady had a great game with 317 yards, 2 TD’s and pick. He completed 28/44 passes. Philip River though, didn’t have a such a good day. Completing 20/33 passes, he threw for 189 yards. San Diego couldn’t run the ball, which proved to be costly. That’s what usually kills them. This loss might have been it for San Diego. I’m not sure they can’t sneak in anymore. The AFC is loaded with Wild Card teams, and the Chargers aren’t one of them, and won’t be the rest of the year. What To Watch For: Championship Week, Selection Sunday, And Join The Fun, Michigan! After weeks of previews and analysis, we’ve came to the last week of the regular season of college football. This Friday and Saturday, four games will take place to determine four of the five power conferences. The BIG 12 is the odd man out. They don’t have a championship game, they just take the team with the best conference record, which is dumb, especially now that we have this playoff system. It really hurts their recognition from the committee. The BIG 12 has one big game which will have major implications on the title. That, I will preview first. No homerism here. I understand that it would take an absolute miracle for Kansas State to even have playoff recognition. Simply, the team that wins this game clinches a share of the BIG 12 title. I say a share because TCU has majority, well, not yet. The Horned Frogs play Iowa State Saturday, who is last in the BIG 12. It’s a guaranteed win. This game sets up as a share. Whoever wins, gets a share of the title. We have to look at this both ways. If Baylor wins, the debate between Baylor and TCU rages, setting up an incredible firestorm of opinions between who is better. If Kansas State pulls off a huge upset, they leap far up, however, I’ll admit, the Wildcats aren’t better than TCU. TCU would easily get a spot in the playoff, due to them being No.4 now. Baylor has the nation’s highest scoring offense, putting up close to 50 points a game. Bryce Petty has had an incredible season, as usual. Baylor has everything going for them. The offense is unstoppable. If they put up points, they win. It’s that simple. Their defense is okay. Just okay. It’s not spectacular, but the offense takes care of it. The Bears’ defense doesn’t have to force turnovers. That’s where a very interesting implication comes in. The Wildcats are super balanced. With the 22nd ranked offense and the 17th ranked defense, both sides are great. They manage well on offense; QB Jake Waters is an incredible weapon. The defense allows only 20.3 points a game. Unfortunately, that average will probably go up after this game. Florida State is the team that nobody can stop talking about, because they’re so incredible and so story booked! Well, somewhat. This really could be a four loss Seminole team. Seriously. There have been games this year Florida State should have lost. It’s crazy that they didn’t. The Seminoles are in dangerous waters right now. Lose this game and they’re done. Lose this and the ACC doesn’t get a team in. Georgia Tech has a massive opportunity here. Win, and you end the Seminoles record winning streak, claim the ACC, and get into one of the at-large bowl games. Florida State is this conference’s superior team. They’re the only ACC team who could get in. I understand the committee likes conference champions, but the Yellow Jackets aren’t as strong as them. Anyways, this game has the chance to be a classic. Georgia Tech is one of the best running teams in the nation, averaging 333.8 yards a game, good enough for 4th in the nation. They rarely pass, but when your rushing attack is that good, you don’t have too. Florida State’s defense has taken a hit this year. They ranked 41st in rushing defense, and 58th in passing. (Passing really doesn’t matter in this discussion). It has to step up against Georgia Tech. They take games over with their running attack. That’s what Florida State has to prevent. On the flip side, the Yellow Jacket’s defense isn’t much better. Playing against one of the nation’s best passing offenses is the tough task. Georgia Tech’s pass defense ranks 54th in the country, It’s not great, and they’re in trouble if the No.54 ranking shows up. I need to get something off my chest. I don’t want to hear about people calling out Florida State, saying how bad they are and how, no matter what they’re record, they shouldn’t be allowed in. THEY ARE UNDEFEATED. I DON’T CARE ABOUT (I’ll stop screaming now) Jameis Winston’s immaturity or their campus problems or whatever. I care about football. They’re undefeated, and haven’t lost a game in close to two seasons. Shut up. They are very good, and are probably better than your team. If this season couldn’t have been any crazier, disappointing, or awesome for the Buckeyes, another blow was dealt to them. A week before playing in the BIG 10 title game, QB J.T. Barrett broke his ankle last Saturday against Minnesota, leaving it up to third string QB Cardale Jones to start. Yup, this is the Buckeyes third QB this year. Braxton Miller didn’t even play in a game before suffering a season ending shoulder injury. J.T. Barrett came in to backup Miller, and became an instant star. He’s clearly better than Miller, from what we’ve seen this season. Last Saturday was tragic for Ohio State. Losing Barrett the week before one of their biggest games is heartbreaking. I can’t believe the committee put Ohio State at No.5. Baylor is clearly better than Ohio State, and that’s before Barrett’s injury. Anyways, Wisconsin has a lot to prove with this game. Never mind. Wisconsin is winning this football game. You can’t just throw a third-stringer in and expect to win. It’s not happening. Wisconsin will win this game, and a win would eliminate the BIG 10 from playoff consideration. Ohio State is the BIG 10’s last hope. Sorry. Wisconsin just runs the ball. That’s it. Melvin Gordon is ridiculous. He’s insane. The Badgers have the nation’s third best rushing attack, but really, we can call it the best, just because of Melvin Gordon. This is the game Arizona has been waiting for. They know they’re good enough to contend with teams like this. Oregon’s only loss this year came against the Wildcats. Arizona is capable of winning this game. However, Oregon just has gotten better and better over the course of the year. They’ve been blowing teams out. The slow starts don’t mean a whole lot, yet. Arizona is a team who can strike fast, just like Oregon. The offense is explosive. The Wildcats offense is ranked 20th in the nation by points scored. Throwing the ball is essential, even though Anu Solomon is not my favorite. Oregon’s has had trouble defending the pass this year, ranked 107th in the nation. If Arizona can attack from the air, they have a shot to keep up with Oregon. Expect no punting in this game. Neither team plays outstanding defense. This will be a total shootout. The scenarios that comes with this game are very interesting, but that only occurs with one result. If Arizona were to pull this thing off, it might put them in the playoff. Being ranked No.7 is huge. A win would move them up, since Ohio State is very unlikely to win in my opinion. Since a win gives them the PAC-12 title, the committee would be willing to let them in. If Oregon wins, it doesn’t change much. Oregon sits at No.2, and they can only rise with a win. An Alabama loss would have to occur to move them up, knowing how much the committee likes the Tide and the SEC in general. With that, I’d love to pick Arizona. You know how much I would love to pick Arizona. Again, Oregon’s only loss this year came against the Wildcats. However, I just can’t take them. Oregon is the better team. They’re more complete and truly have better QB play. It may come down to, similar to Ole Miss, whether the Wildcats get Good Anu or Bad Anu. Guess who had Missouri in the SEC Championship Game in August? I’m done fighting with the committee over Alabama. You want them at No.1? Fine. They’re not deserving of it, but fine. Do what you want. Oregon is just as good if not better. Anyways, this is going to be a tight one. Really tight. Expect real SEC football here. Alabama is decent offensive team. They won’t sling the ball around. Blake Sims is so overrated. As we saw last weekend, he is not accurate, and that costs you, big time. He may have a good arm, but the mental aspect of him is not there, yet. We know what Alabama does best. Stops the run. Ranked 2nd in rushing defense this year, they won’t allow you to get past the 2nd tier of the defense. Their safeties don’t have to worry about tackling running backs, because it’s not often they get through. The Tigers are a pretty balanced offensive team. If Matty Mauk can get going, which we know is possible, Missouri will make this interesting. I actually expect them to make it interesting. Alabama has faults; every team does. It’s if the Tiger defense can crack the faults, and rumble them. Again, I expect Missouri to attack through the air in this game. Running against Alabama is impossible. Break the lines in the Tide secondary and Missouri wins. It’s that simple. If Alabama wins, it’s obvious they’ll remain No.1. The committee likes them and the SEC to much to move them down. Nothing will change with a Tide win. The Tigers though, could really shake things up with a win. Knocking off Alabama drops the Tide out of the Playoffs. It may, just may, kick the SEC out. These scenarios are insane. I highly doubt the committee would kick the SEC out with a loss. Heck, they might throw Missouri in to screw with people. They love those conference champions. If Missouri wins the nation’s best conference, theres a small chance they get in. It’s crazy, yes, but not inconceivable. Now that I have previewed the biggest games this week, it’s time for my final rankings. These are based on my predictions of these games. On Sunday, before the final playoff rankings are released, I will post my updated rankings on Twitter, based on who won Friday’s and Saturday’s games. Again, they are based on my predictions above. This past week in college football has also been a depressing one. Two head coaches have been fired, from two of the nation’s most storied programs. I will first start with Florida’s hiring of Jim McElwain. McElwain was at Colorado State the past two years, where he complied a record of 22-16 in three seasons. This past year, he lead the Rams to a 10-2 record. After firing Will Muschamp, Florida wanted a bigger name. They wanted someone with experience though, as McElwain has been in the game of football since 1987. I’m not worried about him at Florida. He’ll be okay. His players have always loved him, and recruiting shouldn’t be an issue in the SEC. Nebraska, this past Sunday, fired head coach Bo Pelini after seven season with the team. During those years, he complied a record of 67-27, and led the Cornhuskers to a 9-3 record this year. The firing was strange, but Nebraska obviously felt it was time for an end. A fresh start is what they needed, but really, it didn’t start out on the right foot. Anyways, Nebraska went out and hired Mike Riley of Oregon State. I wasn’t fond of the hire. I feel like they may have rushed to hire someone. Riley is a great football mind, but hasn’t had great teams over the past couple years with the Beavers. He’s a good coach, yes, but I don’t think Nebraska is the right place for him. One thing that was overly expressed in the ordeal was “Nebraska’s excellent football tradition.” Hold on a second. Yes, Nebraska has had some mighty football teams in the past, but this in Lincoln, Nebraska. Lincoln. Don’t use your past or location to attract people. Not many people were fond of the hire, including me. My main point: They rushed it. They didn’t really think about it, which is disappointing. As a PAC-12 fan in general, I’m rooting for Riley, but I’m worried it may only be a couple years before he’s out. And that leads us to one of the most media-loved teams there are. Michigan. Michigan fired Brady Hoke this past week, a decision that was widely expected. They have yet to hire a coach, which is probably smart. It’s makes you wonder who they’re waiting for. You heard it here: Though I don’t believe they will hire Harbaugh, they are holding out for him. Watch it happen. Enjoy the weekend, and follow @hippelsportshub on Twitter for coverage of this weekend’s games. Anyways, these past week few weeks in baseball has been nuts. NUTS! I’m sitting in Geometry class on a day during this frenzy, and I see that Jason Heyward had been traded. Phone vibrates. Russell Martin signs with the Blue Jays. And that’s how this column started. The money didn’t shock me. Truly. I knew that the contract would be more than A-Rod’s record breaking deal. It was the amount of years that I was surprised by. Earlier in November, the Marlins and superstar Giancarlo Stanton agreed to a 13 year, $325 million extension. It’s the largest contract ever handed out to any athlete in the four major professional sports in the U.S.A. The details though, are really interesting. The main highlight of the deal is an early opt-out after six years, which if Stanton wasn’t happy, he could leave. The catch though, and where the Marlins got smart, was the portion after the opt-out. The numbers after the contract rise rapidly. Stanton would leave $218 million on the table if he opts-out. That’s a lot of money, by the way. So why would Stanton leave that, at all? First, this is a long ways away. This opt-out doesn’t come up until six years INTO the extension, not six years from now. But lets go glass half-empty. Stanton hasn’t been thrilled with some of the Marlins moves over the past couple years. If they keep goofing things up, it won’t make him happy, and that’s the last thing you want. This is now, though. These next couple years gives the Marlins some cap room and time to sign some people. It also gives Miami time to lock up other young stars on their team, like Jose Fernandez. Stanton expects the Marlins to be competitive by the time the opt-out comes around. Competitive being playoffs. It’s not inconceivable, but the Marlins have to be smart. There isn’t any salary cap in baseball. It’s about what a guy does for you, and how much you pay him to do it. You build your team through trades and free agents, with the draft as a farm. It’s why we see blockbusters in the MLB. Guys are easy to trade. Have you seen Moneyball? He made it look pretty easy, at least. Giancarlo Stanton is going to get paid over these next couple years. Miami was smart with this contract and it’s structure. If Stanton leaves during the opt-out, fine. Nothing they can do about it, beucase it’s not like he’s opting out to sign an even bigger deal with them. Now, if the time leading up to opt-out is awful, like Stanton is unhappy awful, he may leave, and bolt. He probably won’t sign a contract as big as this, as his age will be creeping up by then, but he will go somewhere he can win, and that’s if he doesn’t in Miami. I was positive that Russell Martin was going to sign with the Chicago Cubs. He had the most discussions with them, and the fit seemed ideal. Though, he shocked us, and ultimately, made himself happy. Martin was born in Toronto, and played baseball for a small college in Florida. Martin had been with the Dodgers for the first five years of his career, and then signed with the Yankees in 2011. After two years there, he signed a two year, $17 million contract with Pittsburgh. In Pittsburgh, Martin arguably had his best season(s) of his career, finish 24th and 13th this pasts year in MVP voting. His power in 2014 went down, as he hit 11 home runs, but his production didn’t shy at the plate. With 67 RBI’s and 20 doubles, he’s going to get on base. Martin played 111 games this past year, which is shocking when considering the numbers. He is a catcher, and the move on the defensive side of things is a little strange by the Blue Jays, but they seem to looking to add more leadership. The Jays are in a “win now” phase. With Mark Buhrele, Jose Reyes and Bautista, they have some star players who will produce. The age factor is a little concerning, as most of these guys are exiting their prime, but talent usually gets things done. That “win now” phrase will be used a lot when talking about the Jays-A’s trade later on. The Braves-Cardinals trade that occurred on November 17th wasn’t a huge shocker. The Cardinals needed an outfielder due to Oscar Taveras’s tragic death in October. Jason Heyward is only 25. He seems older, aye? The huge expectations for him haven’t payed off. He had so much hype around him. Everyone expected him to be star. It hasn’t quite worked out, but changes of scenery help. Since 2010, his debut, he has won two Gold Gloves, and that’s it. The Braves have been super sketchy over his career. One season they’re contenders, then next they win 70 games. It’s totally up and down. The Cardinals though, don’t play that way. They’ve been one of the better teams in baseball this decade. Playing for a better team has famously shaped guys careers. In St. Louis, he will be starting in right field. There won’t be any competition, and should be happy with wherever he winds up batting. That’s been his main problem over the course of his career. In five seasons, he’s batted .262. His on-base percentage isn’t great, at .351. Overall, the Cardinals got a decent replacement for Taveras. For now, at least. The return of this trade was super interesting. Shelby Miller was dealt in return for Heyward. I’ve loved Miller over the past years, plus he’s young. Debuting in 2012, he’s averaged 3.33 ERA over his career, and 13 wins a year. Miller isn’t much of a KO guy. He feeds off ground balls. Miller has had a great career so far with St. Louis. I kinda feel bad for him, just because he enjoys playing there, and going to Atlanta, who may be blowing things up, won’t be fun. If I’m Atlanta, I can’t believe I got Miller in return. Two other players were moved in this trade, and only one of them I had heard of. Jordan Walden was sent from the Braves to the Cardinals along with Heyward. Walden is a very nice reliever, and has been great over the course of his career. Walden strikes guys out, and will give you a great outing. It adds even more depth to a stacked Cardinals bullpen. Tyrell Jenkins was shipped from St. Louis to Atlanta. One of the odder deals of these past weeks came from the South Side of Chicago, where the White Sox signed Adam LaRoche to a 2 yr/$25 million contract. Coming off a great season, LaRoche was going to get a nice deal. Batting .259, with 92 RBI’s and 26 HR’s this past season, it was arguably the best of his career. The weirdest part of the deal is the location. LaRoche is 35. Two years was smart, but why would you want to go to the White Sox? They have potential, yea, but not in two years! It was very confusing for someone who probably just signed his last MLB contract. He’ll contribute to the White Sox, giving them another bat. He’s very good defensively, too. Chicago can do want they want, but I’m more confused about LaRoche’s decision, not the team’s. I was really confused when the A’s signed Billy Butler. I didn’t see it coming, and really, I don’t think anyone did. When I thought about it, I considered the A’s pitcher friendly ballpark, and how that does Butler no good, since his power has visibly decreased in the past two years. The O.co Coliseum in Oakland plays massive, and even though it’s characteristics aren’t as drastic as other stadiums, it’s pretty funky. Butler’s numbers since 2012 have decreased substantially. In 2012, he hit .373, with 29 HR’s and 107 RBI’s. Close to every category has decreased since that year, and for a 28 year old, it’s a little odd. He signed a 3 year, $30 million contract with the A’s. Some say it’s a little much. I think it’s a little much. Maybe it is, maybe it isn’t, though. Butler’s numbers probably won’t be massive anymore, especially playing in Oakland for half the year. It’s not like Butler is outstanding on defense either. He’s nothing special. So it’s a very interesting contract. He will DH, but again, expect the numbers to go down. It’s more of a depth move. He’ll play 1B and DH, won’t put up huge numbers, and won’t do anything outstanding on defense. He will play, but $30 million seems a little to much for how the A’s are going to use him. After this signing, the A’s went out and traded for Ike Davis. The trade with Pittsburgh included Davis for a couple of international bonus slots. That shows you right there how much Davis’s value has declined. After being traded at the beginning of this season from the Mets to the Pirates, he couldn’t get anything going. Nothing. He hit 10 HR’s, that’s it. Again, the A’s are building depth, and this is another example of it. It’s no guarantee though Davis will remain with the A’s. A very minor news bit from last week included Royals outfielder Josh Willingham retiring from baseball at age 35. Willingham debuted for the Marlins in 2004, and had played with the Nationals, A’s, Twins and Royals. Now, despite being on good teams, Willingham was never a star. He’s your average player who would contribute. His best season came in 2012, where he did win a Silver Slugger award. Last week, the Mariners and Kyle Seager agreed to a seven year, $100 million extension. At first, it seemed like a gaudy number for someone so young, but overreactions tend to lean you the wrong way. The contract is a team-friendly deal and it’s giving Seager a massive raise. He was making just above minimum last season. Seager is a great player. He’ll give you 22 HR’s a year and will play great defense at 3B. Seager missed three games last year, and has played in at least 150 games the past three years. Being super consistent, the Mariners felt like they had to lock him up , giving he’d be a free agent in a couple years. Baseball teams hold on to feelings about guys that they’ve drafted and developed, especially if they became a star. They hold that privilege of developing some one. We’ve seen this before. The Mariners have feelings for Seager. They made him. They drafted and developed him. That’s why they want him to be with the team for his entire career, and giving him $100 million will help. After acquiring Yonies Cespedes from Oakland in July, and adding Allen Craig, I was already pretty high in this Boston Red Sox team next year. Now, they just capitalized it. The only problem is, they didn’t have to take my favorite player in the league from one of my favorite teams. The Red Sox pulled off a massive double play, signing free agents Pablo Sandoval and Hanley Ramirez to large contracts. I guess we knew they were going to spend money, but the guys they landed are stunning. Lets start with the Panda: (As I shed a tear of the departure of the Giants most beloved player). Anyways, the Giants had tried at the beginning of 2014 and during the Summer to lock up Sandoval. According to the Giants, his starting price for a contract was absolutely ridiculous. It started out as rocky, and supposedly never bounced upward. In the end, the Giants and Red Sox had offered Panda the exact same contract. It was truly a matter of where he wanted to go. It ended up being Boston after winning three World Series in five years with the Giants. Usually, you don’t leave after winning a championship, but baseball is weird. Guys are so focused on money in this sport. After agents declining comments and fusses about the number of years and dollars, it was officially announced as a five year, $95 million contract. Being the exact same amount the Giants offered him in prior days. So why’d he leave? Well, he “wanted a new challenge.” He wanted to go somewhere that had potential as soon as next year, which is very evident with the Red Sox. Too evident, almost. He’s going to fit in perfectly. Boston wanted anyone who could bat better than their third basemen last year, who put up horrible numbers. As we’ve seen: Sandoval isn’t a big time regular season stud. His numbers are never great during the regular season, and can really dip at some points. Panda makes his money in the postseason, and that’s something the Red Sox have their eye on. Now, to continue the Red Sox talk, we have to touch on Part 2 of their double play. Right after the Sandoval signing, the Red Sox announced they had signed Hanley Ramirez to a four year, $88 million contract. I’m still a little confused about this deal. Ramirez has been a great player over his career, when heathly. That’s his problem. I swear he plays only 2/3’s of the year. He’s so valuable when healthy. You get a great bat, which is almost in-replaceable if your the Dodgers, and a solid shortstop. And that’s where the second problem comes up. Ramirez is a shortstop. Guess who plays shortstop for the Red Sox currently? Xander Bogarets. The hyped kid who the Red Sox made. He hasn’t worked out so far, but still! Here’s (I guess), what the Red Sox plan to do: Start Panda at 3B (duh), play Bogarets at shortstop, and put Hanley Ramirez in left field. Ramirez has played LF before, but it’s not his specialty. In no way is it his speciality. I want to really love what Boston is doing, but with a clutter of outfielders, and a sub-par shortstop, I’m not sure yet. I will say this: In no way are the Red Sox done making moves this offseason. Now, I think they’re done spending money, unless they sign a starting pitcher (Cough, Jon Lester, Cough). Boston is going to be wheeling and dealing these next couple weeks. The Yonies Cespedes trade has turned out to be one where one team gets screwed over and the other gets no use out of it. It was a total disaster, really. I’m done talking about it. Anyways, expect to Cespedes shipped out and another outfielder cut They aren’t moving Mookie Betts, I can guarantee you that. Allen Craig is someone I expect to stay, whether he plays outfield or first base. Again, it’s a total cluster in the Boston outfield right now. In three weeks, this should be a lot easier to talk about. They’re on the way to getting some recognition for next year. This next big free agent signing got me excited. So, as always, homerism possible. The Arizona Diamondbacks last Wednesday signed Cuban free agent Yasmany Tomas to a six year, $68.5 million contract. I didn’t know a ton about Tomas. I knew he was a hot commodity, and there would be competition for him. I did know that my DBacks were one of the frontrunners, but why would a Cuban slugger want to go to the league’s worst team? Many think the deal is a bargain. Tomas was such a hot commodity that it took a bidding war to get him. The Cubs and Giants were the main teams in the chase, with Arizona and Atlanta following. Tomas is a slugger. He will hit 20 HR’s a year, and will play great outfield. Teams were reluctant to give Tomas really big money, giving that he is foriegn and has a transition to make, even outside of baseball. The DBacks are stacking guys. It’s going to take a couple years. And that’s ok. I trust Tony LaRussa, and that’s what matters. Toronto, as said above, made one big move already this Winter. Friday morning, they made another one. One I and many people were probably shocked by. In a blockbuster, the A’s sent Josh Donaldson to the Blue Jays for Brett Lawrie. See, I’ve talked about the A’s acquiring depth this offseason. They want to be a deep team for next season, so sudden collapses that plagued them in 2014 don’t happen again. Oakland, in acquiring that depth, wants to get younger. So that’s what they did. They got younger, even though Donaldson was only 28. Donaldson, arguably, was the team’s best overall player. That’s where things get confusing. It’s also what really does make this a blockbuster deal. In return, the A’s got one of the Blue Jays best players, in Brett Lawrie. Lawrie is only 24, and is budding star in the Show. I want to say “hopefully, he is a budding star”. Concerns about Lawrie are common. He’s injured every year. Something is always hurt with him. In his four seasons, his maximum amount of game in a season is 125. That’s not great. This past year, he only played in 70. Due to the limited games, it’s hard to judge Lawrie’s stats. He’s a great defensive player, that we know. His offensive capability though, is still unknown. Oakland’s swing will turn out one way or the other. It’s going to help, majorly, or will be a complete disaster. It’s the same possible scenarios as the Yoenis Cespedes trade, because it’s such a big risk. On Monday morning, I’m walking through the hallway, filled with kids who aren’t paying attention, filled with smelly people and everything else you see in high school. I’m on my phone, as usual, trying to get you notified on the up-to-the-minute news. Walking to science class, I get my multiple notifications that Nelson Cruz has signed with the Mariners. Overreactions have been very common this Winter from me. My first reaction was: Man, that’s a lot for a DH. Well, you know what? Baseball is crazy. GM’s are crazy. It’s a money filled sport. Everyone has money, and their supposed to spend it. Cruz had a monster year in 2014 with 40 HR’s and 108 RBI’s. It’s exactly want you want out of a DH, and seasons like that don’t come around that often. That’s why it’s a shame for the Orioles to lose him. Again, he’s a DH. He hits the ball, that’s it. Seattle definitely could have used another bat, and they got it. There isn’t much to say though. Nelson Cruz will hit the ball. Cruz though, has said he wants to play another position, perhaps OF is a possibly. The Mariners would have to be willing to train him for it, and have him ready for Opening Day. The money they gave him suggests that. I’m not sure it’s the correct way to use him, but I’m not the one spending the money. Go ahead M’s. Go ahead. On Wednesday, December 3rd, the Braves signed Nick Markakis to a four year, $44 million contract. Markakis is one of the most underrated players in the big leagues. He’s been playing for nine years, and has no All-Star selections. All nine of those seasons were played with the Baltimore Orioles, who decided to let him walk. The O’s do have good outfielders, but Markakis’ bat is a gem. He has a good amount of power, hitting over 10 HR’s in every season of his career. Markakis though, has lots of speed, and frequently ends up on second base. His OPS the past few years has been outstanding. Too add, he fielded no errors last year, playing outfield. The signing itself though, is kinda of an odd one. This offseason, the Braves have established themselves as sellers. Trading away Jason Heyward was the start of it, and now outfielder Justin Upton is being shopped. This team acts like they want to rebuild, but then are spending money on good players. However, Atlanta does have talent. I don’t expect them to crash and burn next year, nor do I expect them to great. It’s an average team that’s shaping up, but with help, they’ll get better. I’m not worried about Markakis’ success. He’s a great player. He’ll be fine. I’m worried about his happiness, and that’s something a team doesn’t like dealing with. Having one of your best players unhappy leads to riffs, and as we’ve seen with the A’s. Part 2 coming whenever I decide. This past week was weird. That is all. If there were two teams in the league who needed a statement win, these were the two. And boy, did they fight for it all. This game featured two of the league’s better quarterbacks, Philip Rivers and Joe Flacco. Both QB’s had great games, which led to this one being a thriller. The Ravens continued to run the football, with Justin Forrsett running for 106 yards. The Ravens only rushing touchdown of the game though, came from Flacco. The first score of the game came off of a Torrey Smith TD catch, which was phenomenal one handed grab. It was the first of Flacco’s 2 TD passes on the day. Late in the 1st quarter, San Diego drove down the field on a drive that took 7:28 and ended in a Philip Rivers TD pass to Keenan Allen. Allen hasn’t had a season like last, but he’s still been very productive, and Sunday, he had 121 yards to go along with his 2 TD’s. It’s a game plan thing with him. Some days he’ll be more involved, some days he won’t. More field goals in the second quarter gave the Ravens a 16-10 halftime lead. San Diego, as usual, couldn’t run the ball, rushing for 64 yards as a team. In the third quarter, the Ravens slowly started to pull away. The Chargers kicked early field goal, which made it 16-13, but Baltimore answered with Torrey Smith’s second TD catch, putting them up 23-13. Then the 4th quarter came. The insanely exciting 4th quarter that was during this game. The Chargers found themselves down three entering it, and soon after were down 10. With 6:13 left, the Ravens lead 30-20, two possessions. The Chargers really didn’t care. They answered 2:33 later with a TD catch from Keenan Allen, cutting the lead to 30-27. A quick Ravens field goal boosted their lead to six, but again, San Diego didn’t care. They just answered right back. With 38 seconds left, Eddie Royal caught a one yard TD pass from Rivers, capping a 80 yard, 1:44 drive, and gave the Chargers the crazy comeback win. I’ve been defending the Ravens all year. I been saying they’ll make the Playoffs. In no way was Sunday impressive. They blew a two possession lead with six minutes left. However, they looked better than anyone else in their division at this point, as I’ll get into below. Count them in, for now. This game was ALOT more exciting than the score showed, and really, it shouldn’t have been this exciting at all. Andy Dalton threw three interceptions, IN THE FIRST HALF. It was 10-7 Buccaneers at halftime. This was a game of bad QB play. Josh McCown had 190 yards, and completed 51% of his passes. Also throwing a pick, he had a horrible day. I still can’t believe they put him in when Mike Glennon was doing decent. There was two scoring plays the entire 2nd half. An A.J. Green TD catch put the Bengals up 14-10 in the third quarter. None of the Cinciannti receivers had a good day, with James Wright (who?0) leading the squad. The best part and saddest part of this game came at the very end, when Tampa Bay was desperately trying to win. With 2:01 left, Tampa Bay started a drive at their own 20 yard line. A screen pass to Bobby Rainey went for 29 yards, which got the Bucanneers to the Bengals’ 36 yard line. Another big pass play made by the Bucs set them up perfectly, but as they were setting up, Marvin Lewis noticed they had 12 men on the field for that chunk play. He threw his challenge flag. The problem was, you can’t challenge inside of two minutes. However, this proved to be smart. It costed the Bengals a timeout, but it allowed the refs to review the previous play. The refs determined that the Bucs did have 12 men on the field, and the chunk play was called back. So that led to two Josh McCown incompletions, and a failed 4th down conversion, that gave the Bengals a totally lucky boy win. Anyways, Cincy shouldn’t be feeling good at all about this one. If it wasn’t for Marvin Lewis (good god that is a scary thing to type), the Bengals might have lost this game. They’re still in every way sketchy, and we still have no clarity between which team is better (Pittsburgh, Cincy, or Baltimore) in this division. It’s a cluster! I still don’t know how to categorize this game. I’m pretty sure the Giants blew it, and the Jaguars really didn’t win it. The Giants were up 21-3 at halftime. Two Rashad Jennings TD rushes and a Eli Manning TD pass led to that score, with the Jaguars kicking a field right before the two-minute warning. They dominated the first half. Rashad Jennings, who has made a nice statement this year, was running all over the place. He finished with 91 yards and those two 1st half TD’s. The Jaguars couldn’t do anything in the first half. Blake Bortles played decent, and was the team’s leading rusher with 68 yards. He didn’t throw a pick or have a turnover, so congratulations! Bortles was sacked seven times, which brought his QBR down to 34.4, but he completed 21/35 passes, and threw for 194 yards and a TD. And behind him, the furious rally began. Four minutes into the second half, Eli Manning fumbled. One of his three on the day. The fumble was recovered by the Jaguars, in the end zone, and gave the Jags there first TD of the day. Later in the quarter, Bortles threw a 30 yard TD pass to Marquis Lee, which cut the once close to insurmountable lead to five points with a quarter left. It’s the same story every year with the Giants. They blow games they should win, and it kills them down the stretch. Even though they haven’t been competitive over the past two years, there is usually one game that sums up their season, or decides it. Whichever it is, this was that game. And just like that, Eli Manning fumbled again, and the Jags took this one 41 yards back for a TD. It put them up 22-21 with 12:56 left. At that point, you probably had the feeling that it wouldn’t get any better for New York. At one point though, it did. The Giants drove down the field with 6:02 left and kicked a field goal to put them up by two points. Giving how un-impressive the Jags have been this year, that would have been considered to be the game-winner. Blake Bortles though, with however many picks he throws or how bad his game is, is a warrior. The Jags got two chunk plays on a drive that started with 3:26 left, and kicked the game-winning field goal with 32 seconds left. With that, the Jaguars got their second win of the season. Both of these team’s seasons are over. But hey, Jags fan deserve some kind of excitement this late. We’re going to have one heck-of-a game February 1st. Now, I’m not saying this is my Super Bowl pick. However, these two teams look they’re the best in the league right now. One of them in particular. However, to counter what I said above, this was competitive the whole time. It was a great game. It came down to mistakes, and that’s not something you judge on in a big game. That mistake being a missed Patroits field goal with 2:40 left. Though they were down five at the time, the miss was a killer. If the field goal was made, all the Pats would need is a quick stop, beucase with Tom Brady playing QB, there’s a pretty good chance your going to get in field goal range. It’s, unfortunately, what decided this game. Neither team had a turnover, nor a stupid play. The Packers did jump out to a 1st quarter lead of 13-0, led by two Mason Crosby field goals and a Aaron Rodgers TD pass. The Packers had 478 yards of offense, 368 of them from Rodgers. Both QB’s, obviously two of the tops in the league, had unbelievable days. Rodgers had 368 passing yards and 2 TD’s, completing 24/38 passes. Brady passed for only 245 yards, but had 2 TD’s and completed 22/35 passes. The Patorits had some trouble running the ball against the Packers stubborn run defense. I will say though, I’ve never heard of Brandon Bolden, and he ran in a TD in the 2nd quarter. Eddie Lacy, on the other hand, ran for 98 yards. The Packers are a offensive team. They can attack from anywhere, mostly due to their large roster of weapons. Their defense is sneakily good. I picked them up on fantasy, which was a little bit of a mistake, because they don’t put up huge numbers. They’re great on paper though. Green Bay is currently the league’s best team. All around, nobody is playing better than them. The case for Denver is there. I said this on Twitter: The Packers are arguably the league’s best team, but in the NFC, there is a vivid gap between them and anyone else. That was in the middle of the game, by the way. New England and Denver are pretty equally matched in the AFC, and that’s all there is to it. Let the bloodbath begin.